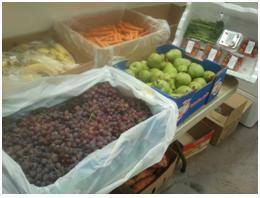 Welcome to Organics on the Move, the only Gold Coast based home delivered organic fruit & vegetables service. All our produce is certified organic. We also aim to source all of our products from farms and suppliers in our local region only, however when unavailable due to weather conditions we source produce from other trusted organic farmers in other regions. 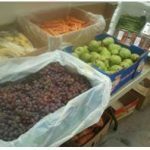 We carry a variety of additional items that we can deliver to you each week along with your fresh organic fruit and vegetables. Stocks of these items do vary so please check with us for pricing and about adding them to your order. NOTE: we do not deliver to the Main Beach and Surfers Paradise areas. We deliver organic produce to most of the Gold Coast area. Our home delivered organic fruit and vegetables delivery days are below. Personalising your box takes time so we need to work 48 hours ahead so orders for Wednesday need to be received by 4pm Monday for example.